Earn up to 63 BIOPoints. 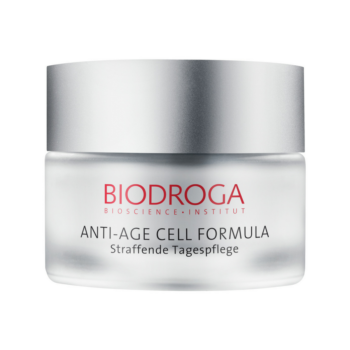 Biodroga ANTI-AGE CELL FORMULA Firming Day Care is the ideal skincare line for the first signs of premature skin aging, between age 30 and 45. Plant Stem Cells protect the longevity of skin’s own stem cells and stimulate their activity. It vitalizes the skin stem cells, diminishes fine lines and wrinkles, improves collagen synthesis and strengthens the extra-cellular matrix. 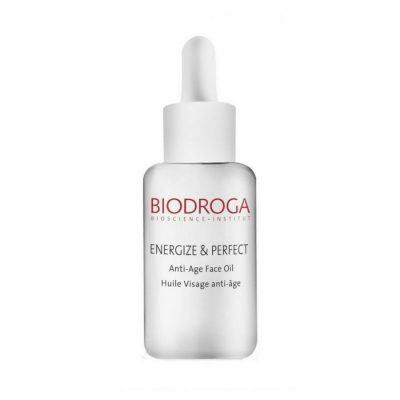 This perfect formula counteracts the chronological skin aging. It protects the longevity of skin’s own stem cells and stimulates their activity. Existing lines and wrinkles are firmed with instant and long-term effect, skin’s elasticity is improved and the skin looks smoother. ANTI-AGE CELL FORMULA Firming Day Care, for dry skin, is the perfect skincare for very dry skin, that shows first signs of premature skin aging, between age 30 and 40. It supplies skin with precious moisture and helps to bind it for a long time. Protects and vitalizes the skin stem cells, diminishes fine lines and wrinkles, improves collagen synthesis, strengthens the extra-cellular matrix and counters chronological skin aging. Existing lines and wrinkles are firmed with instant and long-term effect. Skin’s elasticity is improved and the lipid and moisture deficit is efficiently balanced. Normal Formula: For all skin types, except impure skin (which should use Biodroga Puran Formula). Age 30 – 40 years old. Dry Formula: Dry Skin. 30 – 40 years old. Gently apply to cleansed skin. Massage in. Bioactive Anti-Age Complex (Argan Stem Cell Extract, Biopeptides), PhytoCellTecTM Malus Domestica, AquaCacteen, Wheat Protein, Evening Primrose Oil, Plant Squalane, Avocado Oil, Hyaluronic Acid, Light Protection.